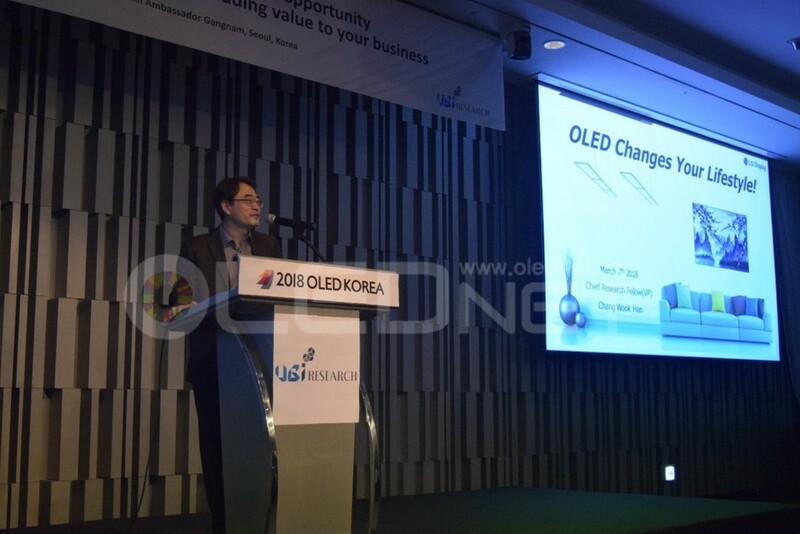 At the ‘4th 2018 OLED Korea Conference’ hosted by UBI research on March 7-8, Dr. Han Chang-Wook, Chief Research Fellow of LG Display, made a presentation for the development process of OLED TVs and emphasized the image quality of OLED, design flexibility and expandability. 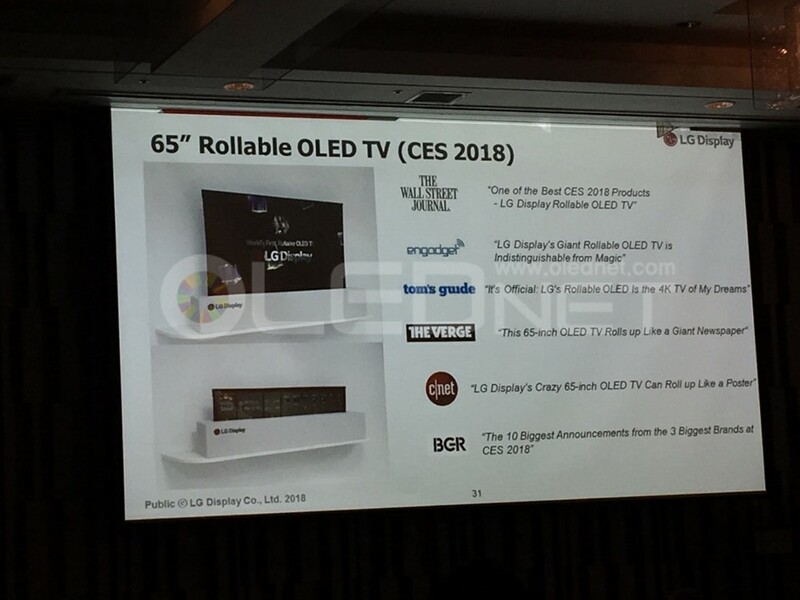 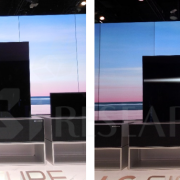 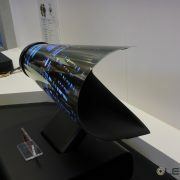 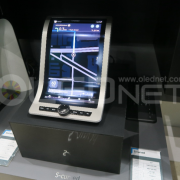 Explaining that OLED allows greater design flexibility and expandability because of the self-illuminating properties that does not require backlight, he referred to the mirror display and transparent display applicable to indoors, and the world’s first 88 inch 8K OLED TV and 65 inch rollable OLED TV exhibited at CES 2018. 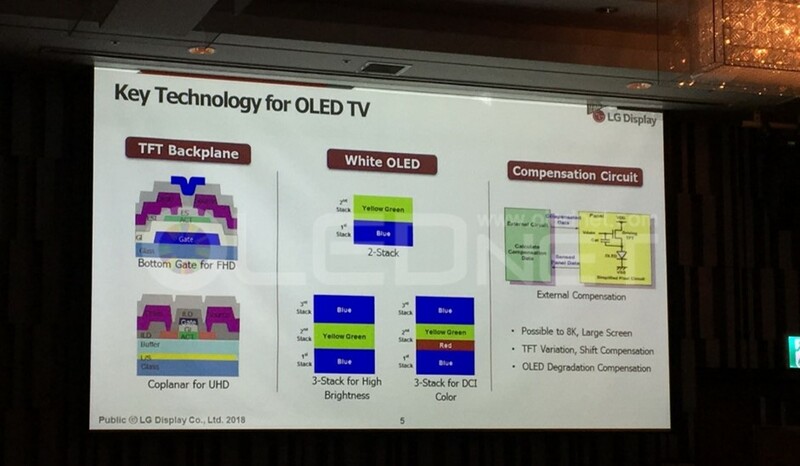 Dr. Han said “We expect large OLED panel production to be tripled, compared to 2016, with the expansion of production lines and yield improvement in 2018. 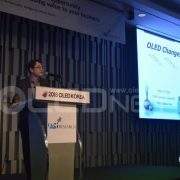 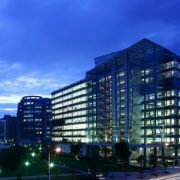 In addition, the company will be able to ship over 6 million large area OLED panels by 2020 through the expansion of its Paju and Guangzhou plants.” He also announced that the company will increase continuously the production for OLED panels, which were 5% of the total display panels in 2016, by 40% by 2020. 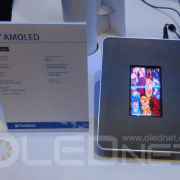 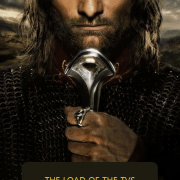 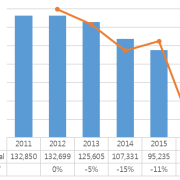 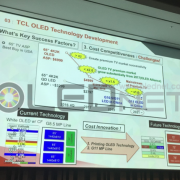 TCL announced “Establishing large-area OLED panel production plant", is solution processed RGB OLED mass production accelerated?